We have activated a Delorme Inreach Explorer satellite tracking device, which reports our position on regular intervals while we are on the move. 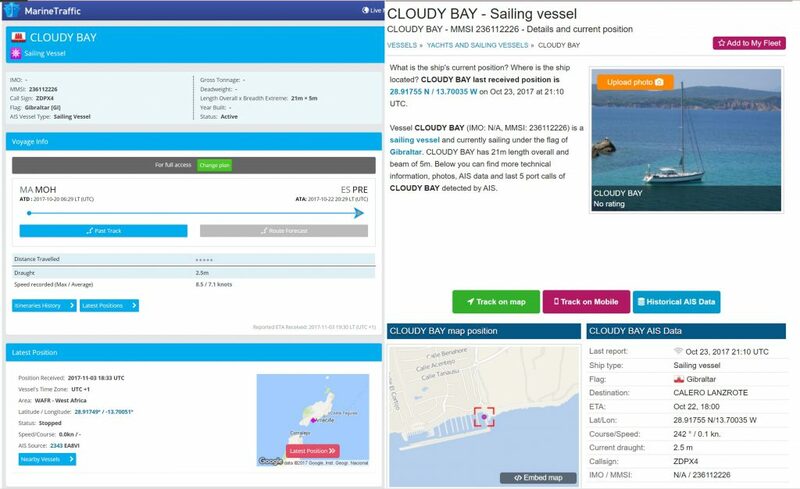 You can track Cloudy Bay’s location (or ours, if we travel inland) at https://share.garmin.com/SailCloudyBay to see our last known position. We use an AIS transceiver, and anytime our AIS signal is picked up by a shore-based station, our boat location and speed is updated to services like Vessel Finder or Marine Traffic. Get them on a browser or mobile app.